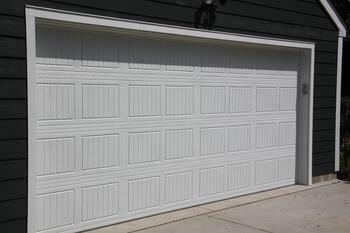 At Western Garage Builders we use the Minnesota made North Central Garage Doors Company for our garage door manufacture of choice. 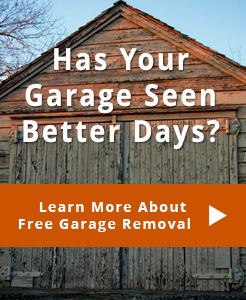 Aker Doors, Inc. is the Minneapolis St Paul garage door supplier we've been using for installation and service for over 30 years. The combination of North Central Garage Doors and Aker Doors is just one more reason why Western Garage Builders is the #1 family owned Garage Builder in the Twin Cities. Without question over 95% of the garage door styles our homeowners choose are between the Classic Raised Panel and Carriage House style Doors. 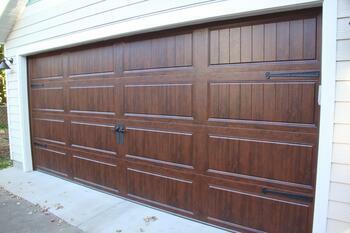 TR-138 Steel Raised Panel garage doors are rugged yet stylish insulated garage doors. 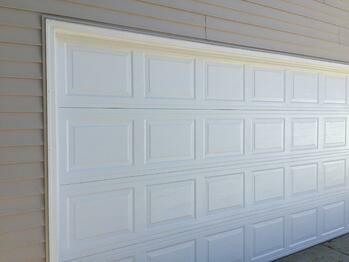 Their 1-3/8" thermal garage doors offer affordability while maintaining strong insulating performance. Polystyrene insulation is bonded between 26-gauge substrate to provide strength and thermal protection while maintaining a solid, quiet operation. Effective Polystyrene insulation is bonded to each steel skin, providing strong thermal protection to the very edge of each section. Tough PVC seal provides a continuous thermal break on all sections that reduces thermal transmission. Uniquely designed tongue and groove section joints create a weather-resistant seal against rain, snow and wind. Strong embossed hot-dipped galvanized steel. The pre-finished exterior and interior are then coated with a baked-on polyester primer and acrylic finish. 18-gauge hot-dipped galvanized recessed and concealed hardware backup plates are carried the full height of the section, providing superior strength and durability than commonly-used hinge pads. End stiles are 18-gauge, hot-dipped galvanized steel. Our tough “U”-shaped bottom weather-seal helps protect against the elements.